IU alum Miles finds his footing as director of AAAI’s Camp S.O.U.L. Although he had been training for the role for most of his life, Ignoisco Miles still had butterflies in his stomach when it was time for him to lead Camp S.O.U.L. (Students Obtaining Unique musical Levels) last summer. 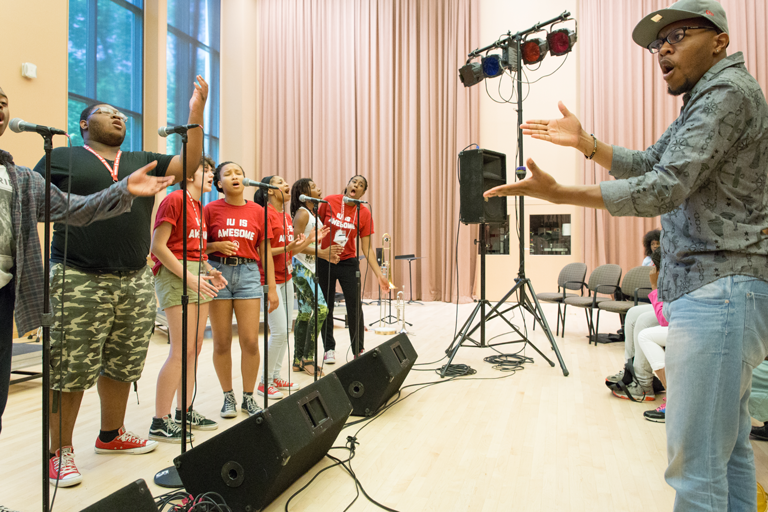 The weeklong camp, held on the IU Bloomington campus, is open to talented high school vocalists and instrumentalists through IU’s African American Arts Institute (AAAI), an Office of the Vice President for Diversity, Equity, and Multicultural Affairs (OVPDEMA) program and takes place June 11-16. The selected students are introduced to life on a college campus through living in residence halls and meeting various members of the campus community, from current students to staff at the admissions departments and OVPDEMA programs like the Groups Scholars and Hudson & Holland Scholars programs. 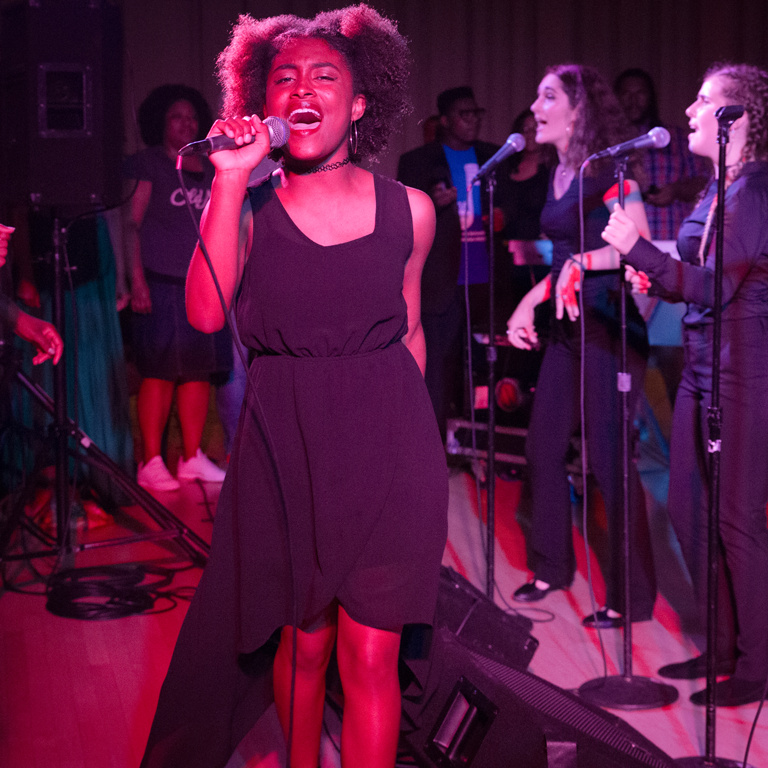 But foremost on the minds of both Miles and the students at last year’s camp was daily progress toward a culminating performance for the students’ families and the general public on the final day of the camp. 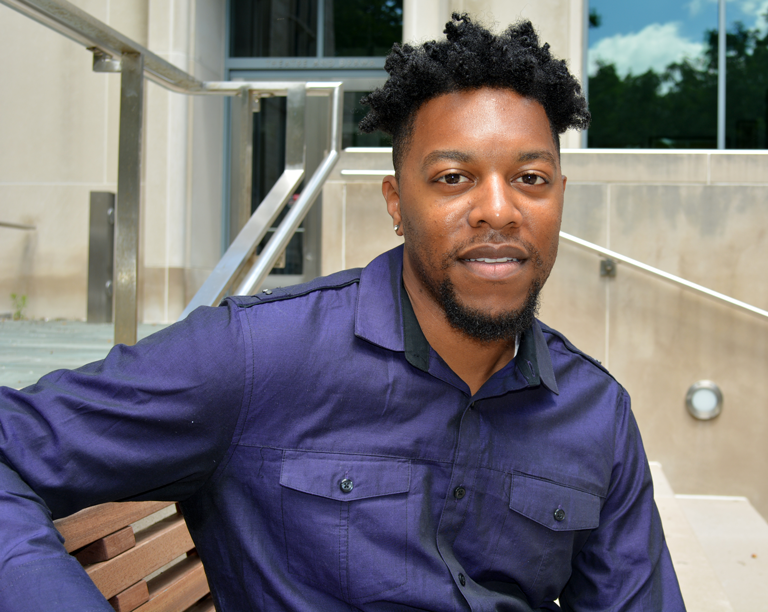 “Every single day, I was nervous,” said Miles, an Indianapolis native who graduated with a bachelor’s degree in theatre from IU Bloomington and is scheduled to complete a master’s degree this summer through IU’s department of African American and African Diaspora Studies (AAADS). 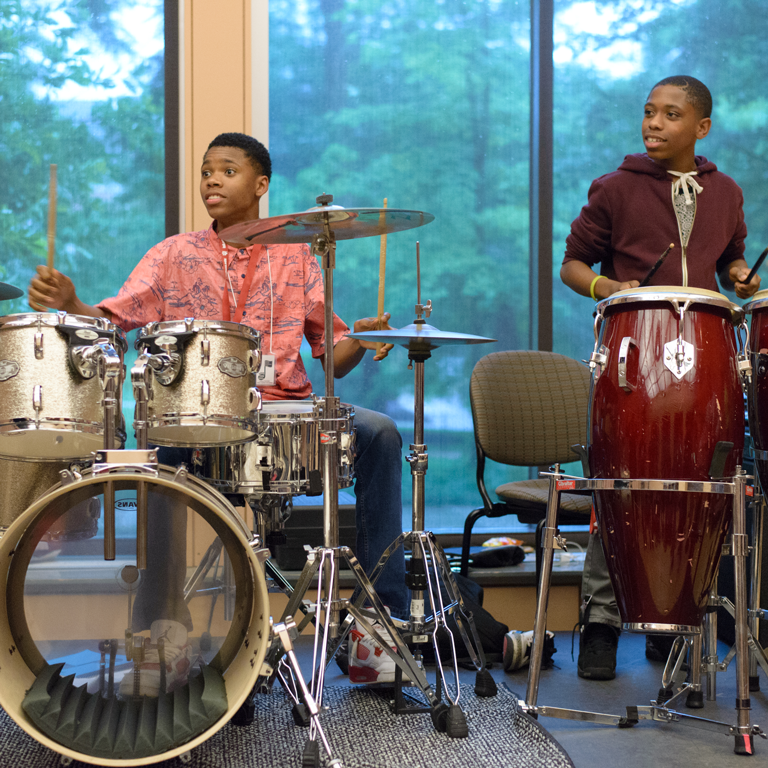 It wasn’t easy to follow in the footsteps of his mentor, Dr. Tyron Cooper, the former director of AAAI’s IU Soul Revue and the camp’s founder. But Miles’ connection to the students eventually led to a successful first-time experience for the fledging actor and vocal coach. After earning his bachelor’s degree, Dr. Cooper encouraged his protégé to attend graduate school at IU, offering Miles a position as the Soul Revue’s vocal coach and eventually directing Camp S.O.U.L. Dr. Charles Sykes, AAAI’s executive director, has also observed Miles’ development since his days as a student. Miles now resides in Los Angeles, where he’s been getting his acting career off the ground, including playing a lead role in a short film that will be screened at an August film festival, and working as a vocal coach with various artists. But even with his active schedule, the approaching start of Camp S.O.U.L. is constantly on his mind—and not because of the musical aspect of it. In his second year as the director, Miles is comfortable enough to put more of his own personality into Camp S.O.U.L. While he didn’t want to divulge too much ahead of the camp’s finale performance (open to the public) on Friday, June 16, it certainly sounds as if the students and audience are in for something special. “I would say people can expect even more of Ignoisco at this year’s camp. I’m always me, but last year, I was kind of getting my feet wet, because I wanted to make sure I served the camp well,” he explained. “This year, it’s not going to be just a concert feel, but almost a concert-musical-play type of deal, and I think people will really enjoy the theater and musical aspects coming together and meshing. I think it will be a really great show, and I can’t wait to see the students and their excitement to perform, and see them get on that stage and perform.